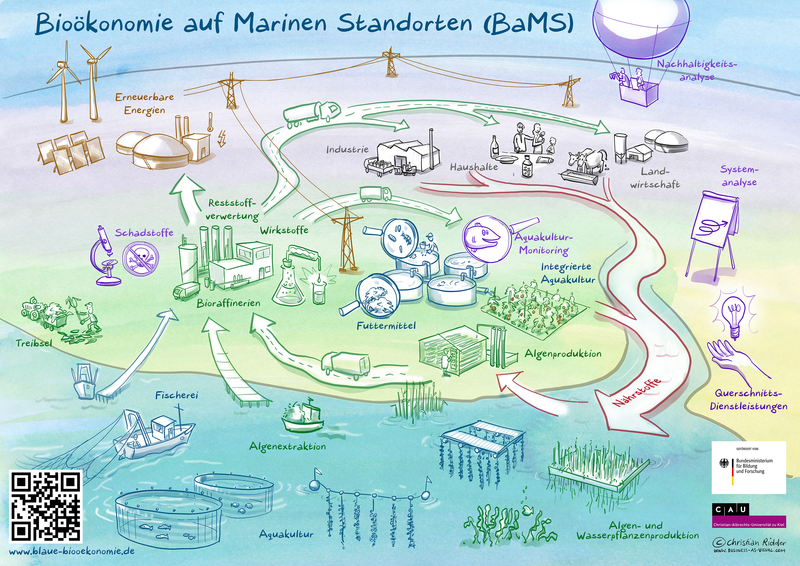 © Michael Schlachter, GMA BüsumThe Society for Marine Aquaculture (GMA) in Büsum is one of the project partners. Rainbow trout are among the fish in their test facilities. © Professor Rüdiger Schulz, Kiel UniversityMicro-algae, shown here in cultivation tubes, are also used in foodstuffs, cosmetics and as a raw material for pharmaceutical products for humans. Substances isolated from algae, such as peptides, pigments and antioxidants, can be used for example in skincare products and medicines. The Society for Marine Aquaculture (GMA) in Büsum is one of the project partners. 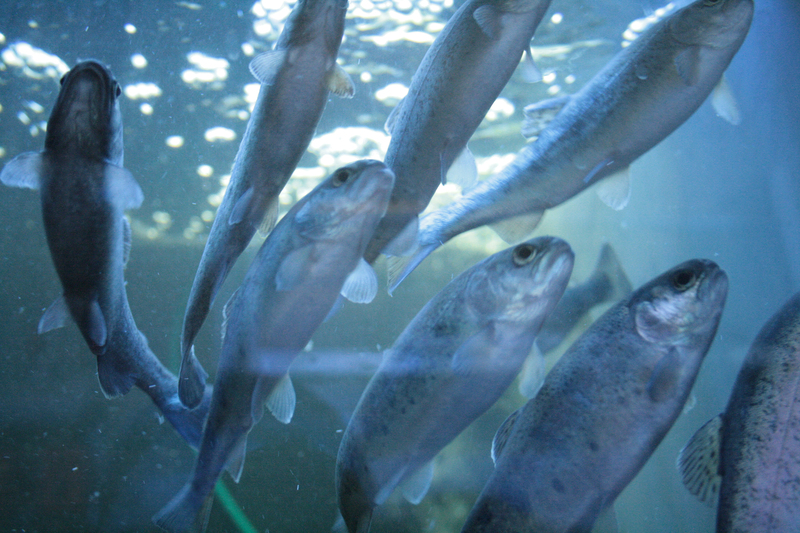 Rainbow trout are among the fish in their test facilities. 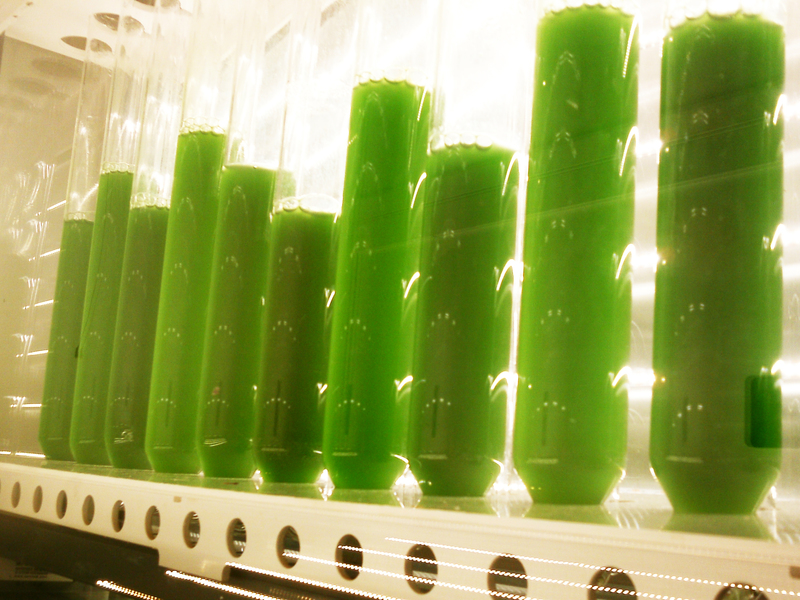 Micro-algae, shown here in cultivation tubes, are also used in foodstuffs, cosmetics and as a raw material for pharmaceutical products for humans. Substances isolated from algae, such as peptides, pigments and antioxidants, can be used for example in skincare products and medicines.